and present two differing views on the reading process. The Early Reading Intervention program and the Reading Recovery program are described and compared in consideration of the most recent research on components of effective programs for young struggling readers. Implications for reading instruction are also provided and government intervention in this area is also discussed. 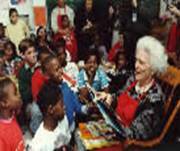 Additionally, included within are a biography of Marie Clay, the founder of Reading Recovery, and the biographies of Dr. Simmons and Dr. Kame'enui, founders of Project Optimize/Early Reading Intervention. Reading is a complex system of deriving meaning from print that requires all of the following: the development and maintenance of a motivation to read, the development of appropriate active strategies to construct meaning from print, sufficient background information and vocabulary to foster reading comprehension, the ability to read fluently, the ability to decode unfamiliar words, and the skills and knowledge to understand how phonemes or speech sounds are connected to print (International Reading Association, 1999). Phonemic awareness is the awareness of the sounds (phonemes) that make up spoken words. There have been many false claims regarding phonemic awareness in relation to reading, such as: phonemic awareness is the single most important factor in learning to read; the cause of reading problems is lack of phonemic awareness; kindergarten children need phonemic awareness training in order to become good readers (Chapman, 2003). First of all, there is no single cause of reading problems. The ability that correlates most highly with literacy achievement is language development, not phonemic awareness (Chapman, 2003). What a child knows about written language, not phonemic awareness, when he or she enters school is the best predictor of success in learning to read. Formal phonemic awareness training is not needed if children have opportunities to write (Chapman, 2003; Scanlon & Vellutino, 1997). Clay notes that children may develop phonemic awareness in reading in other learning activities such as playing with rhyme or exploring beginning writing. An essential component of recording one’s speech in print is to work out how what is heard can be recorded by letters (Clay, 1991). Writing is a segmentation task that matches sounds to letters (Clay, 1991). Children’s independent spellings provide evidence of their level of phonological sensitivity and orthographic knowledge, enabling the teacher to tailor instruction and respond to individual difficulties (Richgels, 2002; Snow, Burns, & Griffin, 1998; Tankersley, 2003). McGuinness (2004) stated that phoneme-awareness training meshed with teaching letter-sound correspondences has a much stronger impact on reading and spelling than training in the auditory mode alone. Children need to attach letters to sounds as soon as possible according to Hohn’s and Ehri’s research (1983). Ball’s and Blachman’s research (1988, 1991) found that letters were more powerful aids to segmenting than blank disks when used in sound boxes. Elkonin was the creator of sound boxes, a phonological technique for writing and segmenting words. Students say a word slowly, segmenting the sounds as they push their fingers or counters into sections of a drawn segmented box. Eventually students write the letters for each sound in the drawn segmented box (Clay, 1991). Encouraging children to spell words as they sound (temporary/invented spelling) has been shown to hasten the refinement of children’s phonemic awareness and to accelerate their acquisition of conventional spelling when it is taught in first grade and higher grades (Snow, Burns, & Griffin, 1998). One of the most consistent findings is that phoneme-identification and phoneme-sequencing training are the only phoneme-analysis skills that impact reading test scores (McGuinness, 2004). Presently there are two differing points of view theorists have on teaching reading. One group of theorists (Beaver, Clay, Lyons, Pinnell, Rumelhart) stresses research evidence emphasizing meaning, language context, prediction, anticipation and graphophonics in their theories of reading processing (Clay, 1991; Lyons, 1998; Pinnell, 2000; Rumelhart, 2004; Williams, 1999). These theorists stress integration of reading and writing and encouraging risk-taking so that children continue to be active discoverers and meaning-makers with self-extending systems (Jones, 1995; Rumelhart, 2004) The other group of theorists (Good, Kame’enui, Kaminski, LaBerge, Samuels, and Simmons) stresses research evidence suggesting that: a.) readers process almost all of the visual information on the page; b.) fast, automatic word recognition and thorough knowledge of sound-symbol relations separate good from poor readers; and c.) phonemic awareness plays a significant, causal role in learning to read. These code-emphasis advocates believe that beginning reading instruction should be comprised of the development of phonemic awareness, letter knowledge, sound-symbol associations, and rapid word identification (Jones, 1995). The Developmental Reading Assessment (DRA), developed by Joetta Beaver (1988), is a measurement tool used by teachers who believe that reading involves meaning, language context, prediction, anticipation and graphophonics (Williams, 1999). Since the DRA is presently the closest assessment to the actual reading process, teachers can use the information to not only monitor student progress, but to learn what their next teaching move should be. The DRA provides teachers with information regarding which strategies the student is using and which strategies need to be reviewed. Additionally, teachers can determine if students need instruction in areas of comprehension such as retelling, adding details, sequencing events, and main ideas (Williams, 1999) Teachers receive information from the DRA on a student’s fluency and word accuracy in addition to determining a student’s instructional reading level. When analyzing a student’s oral reading, teachers can determine whether the student needs to work on particular areas such as increasing the number of known high frequency words or areas needing review in phonics (Williams, 1999). The major purpose of the DRA is to help guide instruction. Ninety-eight percent of the teachers and raters agreed to the statement that the information gained about the reader during the DRA conference helped them better identify things that the child needed to do or learn next (Williams, 1999). The DRA is both valid and reliable according to research conducted by Williams (1999). DRA instructional reading levels demonstrated a strong correlation with the Iowa Test of Basic Skills Total Reading subscale for one large urban/suburban school district. This evidence adds strength to the belief that the DRA validly measures a child’s ability to decode and understand/comprehend what he/she has read. The DRA is an authentic performance based assessment in which children are responding to real text through retelling (Williams, 1999). Teachers who feel that reading should be taught through a code-emphasis approach may use the Dynamic Indicators of Basic Early Literacy Skills (DIBELS) as a measurement tool in their classrooms. DIBELS are a set of one-minute standardized measures of skills, individually administered, which Good and Kaminski (2003) feel underlie early reading success. They claim that these assessments will predict how well children will do in reading comprehension by the end of third grade, yet they do not include one subtest to assess comprehension. Good, Simmons and Smith (1998) feel that the DIBELS is a useful tool in ascertaining which students are having difficulty in what they believe are the components of effective early reading instruction: phonological awareness, alphabetic understanding, phonological recoding, and accuracy and fluency with connected text. At each grade level, K-1, there are three or four short subtests to help teachers locate, monitor, and intervene with at-risk students. At grade 2 there are two subtests and at grade 3 there is one subtest. Good and Kaminski (2003) believe the definition of reading is fluency in assessment tasks. In kindergarten these fluency tasks are: initial sound fluency, letter naming fluency, phoneme segmentation fluency, and nonsense word fluency. The fluency tasks for first grade are: letter naming fluency, phoneme segmentation fluency, nonsense word fluency and oral reading fluency. The fluency tasks for second grade are nonsense word fluency and oral reading fluency, and in third grade, the fluency task is oral reading fluency. There is a retelling fluency component that is not valid or reliable since it is not standardized at the present time. Elliott (1997) investigated the reliability and validity of selected DIBELS measures in identifying kindergartners who are at risk for reading failure. This study provided a partial replication of Good et al.’s reliability and validity studies. The data from this partial replication provides corroborative support for the DIBELS Letter Naming Fluency, Phonemic Segmentation Fluency, and Initial Sound Fluency. Bishop (2003) found that letter identification and phonological awareness correlate to first-grade reading achievement along with rapid automatized naming and phonological memory in examining oral reading fluency. A study by Hintze, Ryan and Stoner (2002), found a moderate to strong correlation between the DIBELS and the Comprehensive Test of Phonological Processing (CTOPP), providing evidence that these two instruments are measuring a similar construct, phonological awareness. However, the results of this study suggest the DIBELS “benchmark” or cut-scores may be set too high, from a diagnostic accuracy point of view. As a result, Hintze, Ryan and Stoner (2002) suggest the use of the DIBELS as a classification tool in practice should be undertaken with caution. Using DIBELS and these cut-scores could lead to school districts: 1.) inaccurately identifying children as “at-risk” for early reading problems and, as a result, children’s self-esteem could plummet, and 2.) unnecessarily allocating resources, leading to costly mistakes for school districts. Further research on benchmark or cut-scores is warranted due to these problems. Studies throughout the world have shown RR to be effective with diverse populations, closing the gap in students’ learning along racial and economic lines (Ashdown & Simic, 2000; Center, Wheldall, Freeman, Outhred, & McNaught, 1995; Lyons, 1998; Pinnell, Lyons, Bryk & Seltzer, 1994; Quay, Steele, Johnson, & Hortman, 2001; Rodgers, Wang, & Gomez-Bellenge, 2005; Sylva & Hurry, 1996; Swartz & Klein, 1996). Cox, Fang, & Schmitt (1998) found that RR may be especially effective in helping at-risk children accelerate to or even surpass the level of their peers in terms of gaining metacognitive control. Project Optimize was developed for kindergarten as part of a field-initiated grant from the U.S. Department of Education Office of Special Education Programs. The purpose of the grant was to study the components and intensity of instruction necessary to ensure that all children read by grade 3. Project Optimize, a scripted program, was designed for children who need early, intensive intervention in phonological awareness, letter names, letter sounds, word reading, spelling, and simple-sentence reading. Daily 30-minute lessons include 15 minutes of phonological and alphabetical understanding and 15 minutes of handwriting letters and spelling. There are 126 lessons. In November 2002, the Project Optimize became the Scott-Foresman Early Reading Intervention Program, published by Scott-Foresman (Scott-Foresman, n.d.). According to Coyne et. al’s study (2001), Project Optimize students displayed faster learning rates and higher end-of-year levels for both phonological awareness and alphabetic understanding. These researchers believe that attaining proficiency in phonological awareness and alphabetic understanding in kindergarten allows the instructional focus to shift to the next higher-order skill (such as blending, word reading, and comprehension) in optimizing reading development. ~ntervention instruction is frequent, regular, and of sufficient duration to make a difference. Scanlon’s and Vellutino’s research (1997) implies that the best way to teach phonemic awareness and phonics is through writing, not through a purchased program. Research by Bus & van Ijzendoorn (1999) has shown that reading skills are stimulated more by phonemic training, including letter or reading and writing practice, than by purely metalinguistic games and exercises. Directing attention to only one source of information used by the reader can produce problems since readers use meaning and syntax information in addition to visual information (Clay, 1991). This information strengthens the case for a balanced perspective on reading instruction (Bus & van IJzendoorn, 1999). In reviewing Charles Read’s research on invented spelling and its educational implications, Richgels (2002) stated that many believe that concern for phonemic awareness requires direct instruction with isolated word sounds despite contrary recommendations concerning developmentally appropriate practice from the International Reading Association and the National Association of Young Children (2002). Because phonemic awareness, invented spelling, and word reading comprise only a single, but very significant piece of the larger picture of children’s developing literacy knowledge and competence, fostering insights in all areas of written language is an important consideration when planning the best instruction. One-size instruction does not fit all. Teachers need to use children’s writings to determine their next teaching moves. Richgels feels that a goal of future early literacy research should be to continue exploring the invented spelling-phonemic-awareness connection and the invented spelling-word-reading connection (Richgels, 2002). Sylva’s and Hurry’s (1996) research found that Reading Recovery students made significantly more progress in all the reading measures than control students in non-Reading Recovery schools. The Phonological Intervention students made significantly more progress in reading accuracy (but not reading comprehension) and in spelling, as well as in the directly taught phonological skills measured in comparison with control students attending other schools. This pattern of results could be explained by the hypotheses that phonological interventions are particularly powerful at improving children’s spelling skills which, given time, will improve their word recognition. The fact that children’s reading comprehension was not significantly improved is consistent with the finding of other evaluations of primarily phonics-based reading interventions. Interventions with a narrower model of reading tend to have a narrower effect (Sylva & Hurry, 1996). Hoffman, Sailors, & Patterson (2002), when researching state-mandated first grade basal decodable books, found that there was an absence of two crucial variables, predictability and engaging qualities. Across all of the analyses, they consistently found that the more decodable the text, the lower the ratings on engaging qualities, suggesting that the mandate to focus on decodability of text had negative implications for other aspects of texts for beginning readers (Scott-Foresman, n.d.). Both Chall (1967) and Adams (1990) concur that good readers must have access to many experiences with literacy that go beyond the specifics of phonics instruction. Children need exposure to a variety of reading materials as input to vocabulary learning, and they need motivating, interesting reading materials (Snow, Burns, & Griffin, 1998). Legislative proposals, such as “No Child Left Behind,” which would mandate intensive phonics as the method to teach beginning reading, are based upon some unwarranted assumptions. The costs and consequences of these legislative proposals are potentially harmful to many children in their efforts to become literate since these struggling readers will think that we read to decode rather than we read to understand the author’s message (Jones, 1996). Reid Lyon, a member of the National Institute of Child Health and Human Development (NICHD), cautioned against simplistic interpretations of the NICHD research in the name of ‘science’ as supporting phonics instruction as a panacea for literacy problems (Pinnell, 2000). At the 2004 IRA conference, Dr. Lyon stated that beginning readers should have a balanced approach to reading (Lyon, 2004). Because there is no best way to teach beginning reading, professionals who are closest to children must be the ones to make the decisions about what reading methods to use, and they must have the flexibility to modify those methods when they determine that particular children are not learning. The federal and state governing bodies should not prescribe particular methods. Rather, they should support balanced approaches to reading instruction at the state level. Policy makers should provide funds for professional development and books so that children can read for enjoyment (International Reading Association, 1999). To improve reading instruction teachers need to be better educated in the area of reading. Improvement in instruction in the form of materials will not replace teacher knowledge in helping struggling readers become independent readers (International Reading Association, 1999). in 1926 in Wellington, New Zealand. She completed her teacher education at the Wellington College of Education and was awarded a primary teacher’s certificate in 1945 as she pursued a Bachelor of Arts degree at the University of New Zealand. Clay was awarded a Master of Arts degree with honors in 1948 after completing her thesis, “The Teaching of Reading to Special Class Children.” In 1950, she received a Fulbright Scholarship and a Smith-Mundt grant to study developmental and clinical child psychology at the University of Minnesota’s Institute of Child Welfare, which she acknowledges as a turning point in understanding of how to study children’s learning. As a result of her doctoral dissertation, Clay developed An Observation Survey of Early Literacy Achievement (1979), a group of early literacy assessments that serve to inform reading instruction. Clay became a professor of education in 1975, was inducted into the Reading Hall of Fame, and has been the recipient of many prestigious honors. Recovery: A Guidebook For Teachers in Training, By Different Paths to Common Outcomes, Change Over Time In Children’s Literacy Development, An Observation Survey of Early Literacy Achievement. A major contribution of Marie Clay’s has been to change the conversation about what is possible for individual learners when the teaching permits different routes to be taken for desired outcomes (Gaffney, n.d.). The authors of Project Optimize, now known as Early Reading Intervention, are Dr. Simmons and Dr. Kame’enui. Dr. Simmons, an associate professor at the University of Oregon, is a researcher in the areas of literacy acquisition and development and intervention for children at risk of reading failure. She has published books, book chapters, and research articles. Her research articles have appeared in The Journal of Educational Psychology, Reading and Writing Quarterly, Reading Today, Journal of Learning Disabilities, and Journal of Educational Research. Dr. Simmons serves on Editorial Boards for several journals and has served on the Assessment Group of the Reading First Initiative for the U.S. Department of Education. Dr. Kame’enui, a professor at the University of Oregon, has published several college textbooks related to teaching reading and curriculum design. He has published research and articles in journals such as The Exceptional Child, Reading Research Quarterly, Journal of Educational Research Quarterly, Journal of Education Research, and Journal of Reading Behavior. He served as team leader of the Assessment Group of the Reading First Initiative for the U.S. Department of Education and has served on Advisory Boards for the PBS television show Between the Lions and the International Dyslexia Association (Simmons & Kame’enui, 2003).